Is Christianity exclusively a religious phenomenon, which must separate itself from all things political, or do its concepts actually underpin secular politics? 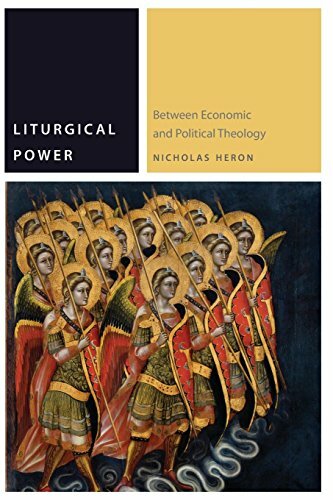 To this question, which animated the twentieth-century debate on political theology, Liturgical Power advances a third alternative. Christian anti-politics, Heron contends, entails its own distinct conception of politics. Yet this politics, he argues, assumes the form of what today we call “administration,” but which the ancients termed “economics.” The book’s principal aim is thus genealogical: it seeks to understand our current conception of government in light of an important but rarely acknowledged transformation in the idea of politics brought about by Christianity. This transformation in the idea of politics precipitates in turn a concurrent shift in the organization of power; an organization whose determining principle, Heron contends, is liturgy―understood in the broad sense as “public service.” Whereas until now only liturgy’s acclamatory dimension has made the concept available for political theory, Heron positions it more broadly as a technique of governance. What Christianity has bequeathed to political thought and forms, he argues, is thus a paradoxical technology of power that is grounded uniquely in service. If you have any questions about this product by Modern Language Initiative, contact us by completing and submitting the form below. If you are looking for a specif part number, please include it with your message.